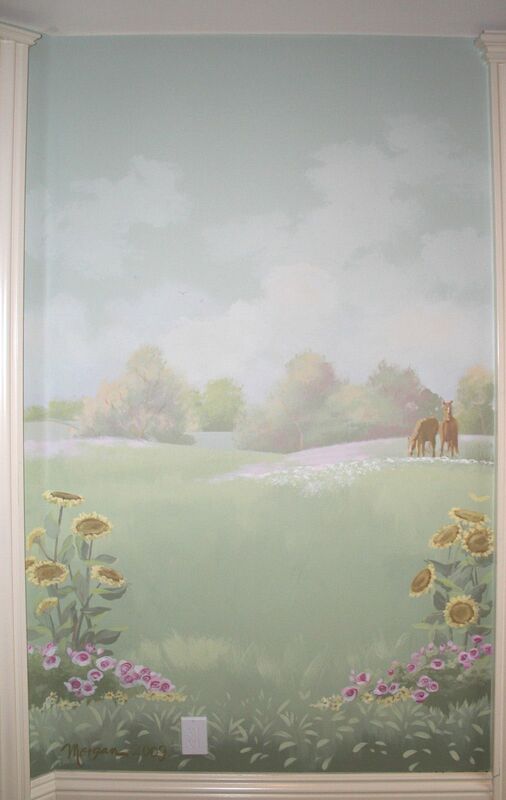 This is a nursery I painted for a baby girl. I included pigs, horses, butterflies, birds, and too many sheep to count! 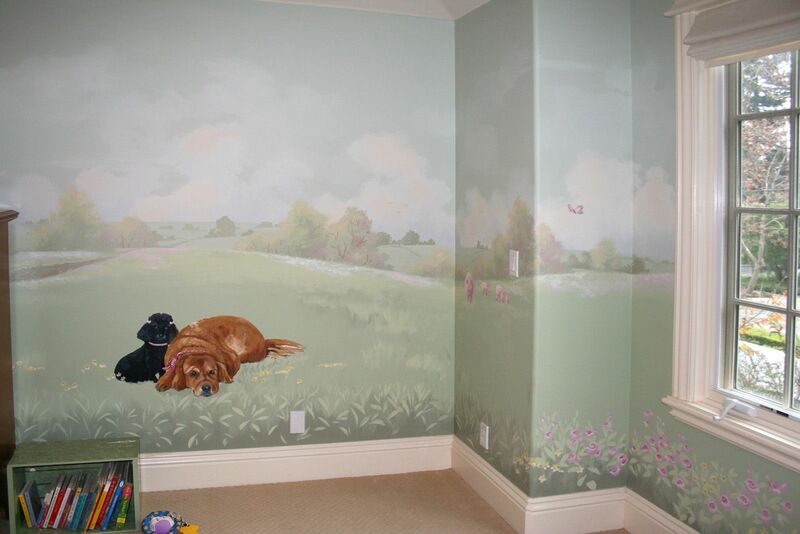 I also included portraits of the beloved family dogs, Annie and Madsen. We decided that having lots of things to find on the wall would keep the big sister occupied when mommy is nursing. The goal was to keep the overall feel peaceful and serene, and with the muted color palette, the effect was achieved. 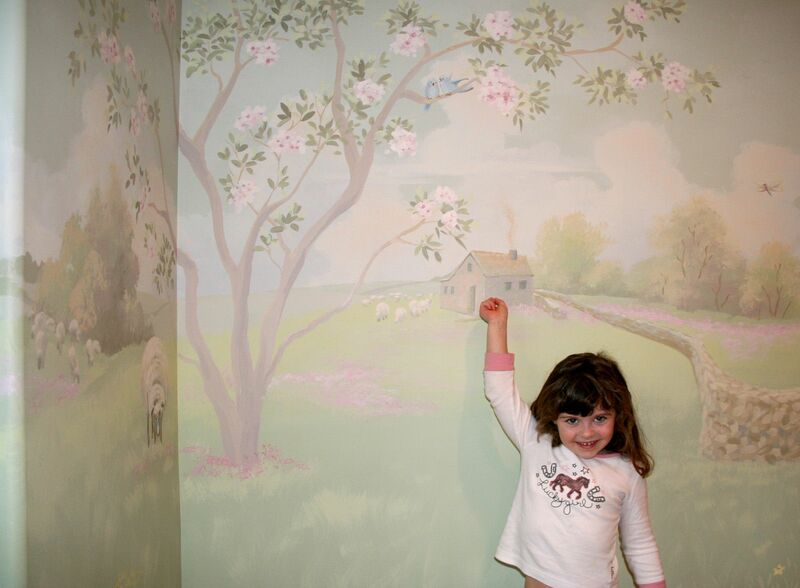 For more information about this mural project, read my blog post Soft and Sweet Mural Ideas.